Dimensions 0.50 by 5 by 7 in. Like nearly one in five people, Matt Haig suffers from depression. 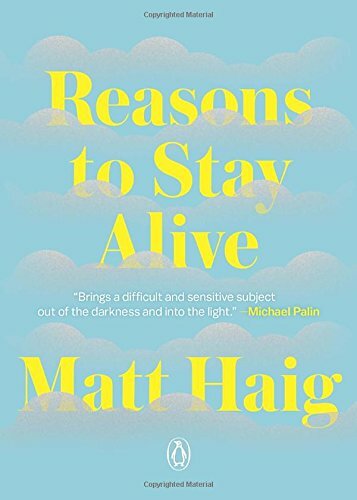 Reasons to Stay Alive is MattÃ¢ÂÂs inspiring account of how, minute by minute and day by day, he overcame the disease with the help of reading, writing, and the love of his parents and his girlfriend (and now-wife), Andrea. And eventually, he learned to appreciate life all the more for it. EveryoneÃ¢ÂÂs lives are touched by mental illness: if we do not suffer from it ourselves, then we have a friend or loved one who does. MattÃ¢ÂÂs frankness about his experiences is both inspiring to those who feel daunted by depression and illuminating to those who are mystified by it. Above all, his humor and encouragement never let us lose sight of hope. Speaking as his present self to his former self in the depths of depression, Matt is adamant that the oldest clichÃÂ© is the truestÃ¢ÂÂthere is light at the end of the tunnel. He teaches us to celebrate the small joys and moments of peace that life brings, and reminds us that there are always reasons to stay alive. About: One of Entertainment Weekly's 25 most anticipated books of 2016âMatt Haigâs accessible and life-affirming memoir of his struggle with depression, and how his triumph over the illness taught him to live Â Like nearly one in five people, Matt Haig suffers from depression.